'BalkanBeats SoundLab' presents Robert Soko's very own hand-crafted debut series of remixes, in collaboration with his sidekick, 21st century gypsy Florian Mikuta. The album includes a variety of styles, from swing to Serbian and Romanian gypsy brass music with influences of electro, hip-hop, techno, disco and rock. There are remixes of tracks by Serbia's Gypsy Brass Kings Boban i Marko Markovic, Slavic Soul Party from New York, Mode Plagal from Athens, Hungary's Besh o droM, Los Colorados from Ukraine and the Romanian Shukar Collective - a very international selection indeed of the hottest Balkan dancefloor tracks. In recent years BalkanBeats has expanded from a European to a world-wide phenomenon. From Bosnia to Brazil, BalkanBeats has people hooked. Bosnian-born, Berlin-based DJ selector Robert Soko has been throwing parties in Berlin since 1993. He was the first to coin the term BalkanBeats to try and define his mix of music from the Balkans. BalkanBeats are Serbian Gypsy brass and folk melodies reinterpreted, given electronic beats and blended with western styles such as ska and rock. The phenomenon has caught on in other cities around the world, initially places where Balkan immigrants live - the international BalkanBeats party movement was born. Alongside DJ residencies in Berlin, Soko regularly DJs in London, Paris, Vienna and all over Europe, as well as further afield such as Japan, Mexico, Australia and the US. Robert grew up in Zenica, central Bosnia, listening to western music: rock'n'roll, punk and ska. In 1990 he left Bosnia for Berlin. He took a job as a taxi driver and together with his expat friends started hanging out at the Arcanoa, a punk bar in Kreuzberg, Berlin's immigrant quarter. The Arcanoa became their second home and it was there that Soko put on his first parties, playing his Yugo music for 50 Deutschmarks and free beer. He celebrated socialist holidays such as Tito's birthday, Day of Women and May Day. The parties were a mix of irony and nostalgia and Soko was surprised to see how many people came, as nostalgia for Yugoslav socialism was not the 'in thing' in those days of growing Balkan nationalism, and yet the parties grew. It was at these parties in Berlin that Soko, after years of listening and playing western-derived rock, punk and ska, found himself returning to his ethnic Balkan music roots, the roots he had rejected as a youth in Bosnia. For Soko two figures, Goran Bregovic and Emir Kusturica, were particularly influential. Bregovic revamped Balkan Gypsy melodies and his music was the soundtrack for filmmaker Kusturica's Gypsy inspired films. Soko played new and old Balkan music - and people loved it. Women grooved to it. Guys pogoed to it. It became a sensation. The press took notice. From the Arcanoa, Soko moved onwards and upwards, securing residencies in various Berlin clubs (currently the Lido and the Bi Nuu), all the while spreading the party fever to other cities around the globe. 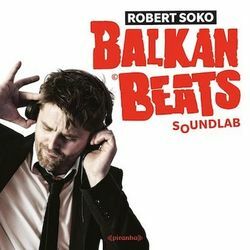 If there is one person who knows what's happening globally on BalkanBeats dancefloors it's Robert Soko. 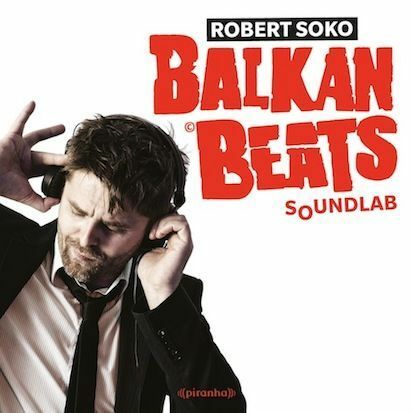 Robert Soko's BalkanBeats has evolved into a genre unto itself, inspiring artists and DJs all over the world. So it's no surprise that with his new SoundLab project Soko has now branched out, from being solely a selector to an expert remixer. Long may the parties continue!